A science festival showcasing the latest technology and the leading edge in science kicked off in Seoul on Thursday. 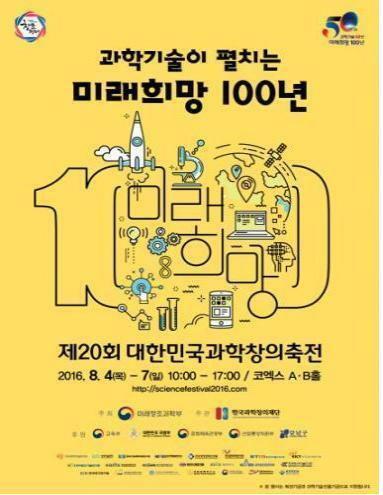 Hosted by the Ministry of Science, ICT and Future Planning, the annual Korea Science Festival 2016, the 20th of its kind, commenced its four-day run in southern Seoul. Visitors will be able to experience the development of science technology over the past 50 years, the organizer said. State-of-the-art technology will also allow visitors to see what it could be like in next 100 years, it added. A variety of exhibitions at the venue will teach visitors about cutting-edge technology such as taking a glimpse into the future through virtual reality programs, the ministry said.